Local photographers, local scenes, and local designers combine to make another gorgeous edition of Lincoln’s Open Spaces Calendar for 2019. Every month is loaded up with stunning pictures to enjoy all throughout the year. A new set of 8 nature scene note cards are also for sale and available exclusively from the LLCT. These may be our best set yet! Renew or join the LLCT as a Member and you may select these items as gifts by giving at certain levels. 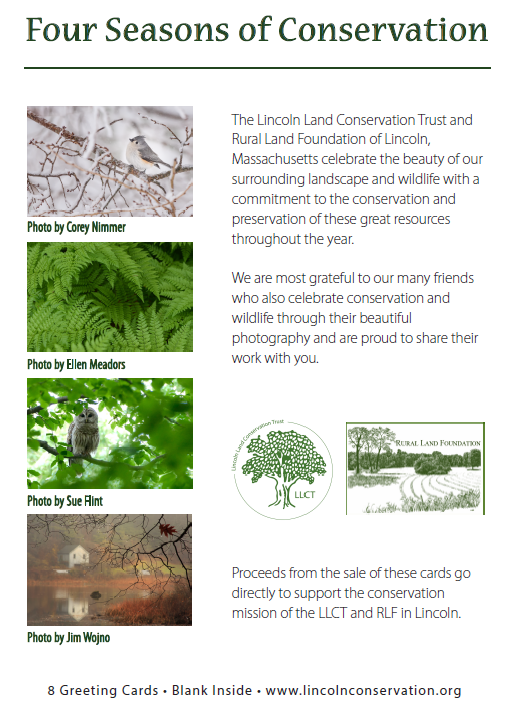 Look for LLCT and RLF Trustees outside Donelan’s Supermarket on Saturday’s December 8 and 15 between 10AM and Noon to purchase your calendar copy and set of note cards. 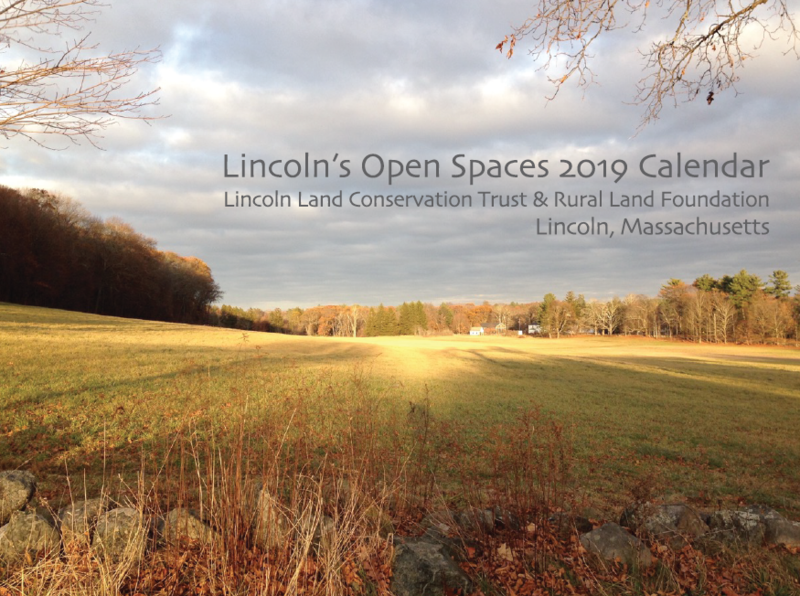 Stop in the Old Town Hall Exchange, Lincoln Library, Something Special or at the Audubon Shop located at Drumlin Farm for copies of the calendar. 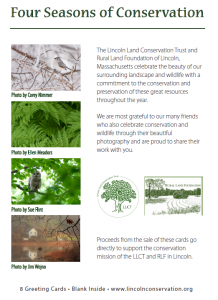 LLCT Members receive a 20% discount when purchased at the Land Trust office, or from an LLCT representative. All proceeds benefit the LLCT.